Elder Elaine Patrick was ordained and licensed under Pastor Williams in May, 2003. Currently, she coordinates the Adult Church School of Mount Zion Fellowship, which includes teaching and curriculum development for the Adult Church School. Elder Patrick holds both a bachelor’s degree and a master’s degree in Education. She is currently a doctoral candidate in Counseling Studies. 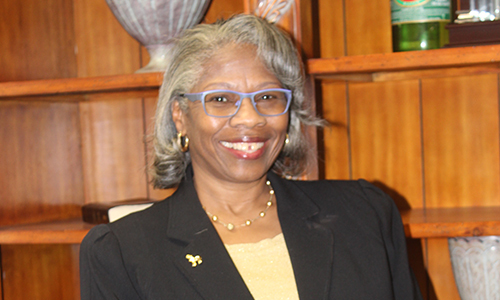 Elder Patrick is a member the Mount Zion Community Development Center and a member of Delta Sigma Theta Sorority, Inc. She also holds membership in the national sorority of Phi Delta Kappa and the American Association of Christian Counselors. Elder Patrick is a retired educator of 34 years, and now serves as Director of Education for Allemas Centers. Her professional accomplishments include induction into the Minority Achievement Committee Hall of Fame in 2009, Cambridge Who’s Who in 2009, and Who’s Who Among America’s Teachers from 1998-2005. Elder Patrick is a mother and grandmother.